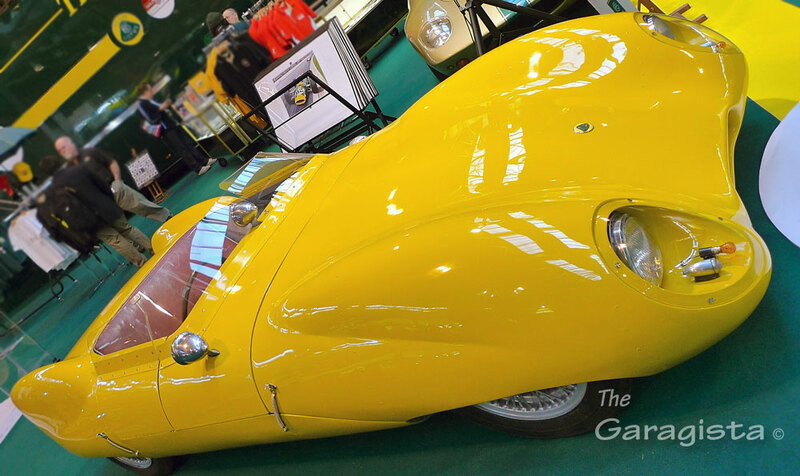 One of the highlights at this years Autosport International Show was Colin Chapman’s very own Lotus Eleven. The Lotus Eleven itself was a significant step for Lotus with a sophisticated design, and plenty of speed resulting in strong customer demand.The Lotus Eleven was launched in 1956 a featured a tubular space frame design engineered to the lightest possible weight. In fact 18 gauge tubing was used for standard cars with the works racers using an ultra light 20 gauge material. Lotus specified the weight at 480kg. The body used many aero tricks of the day including a smooth under-tray. Lotus also produced a “Le Mans” model with a choice of either a 1100cc FWA or 1500cc FWB Coventry Climax engine. Typical Lotus interior of the day. In 1957 , Lotus introduced the Series 2 version of the car with Lotus 12 style front suspension , optional “wobbly web” wheels and a choice of a powerful 145bhp engine. 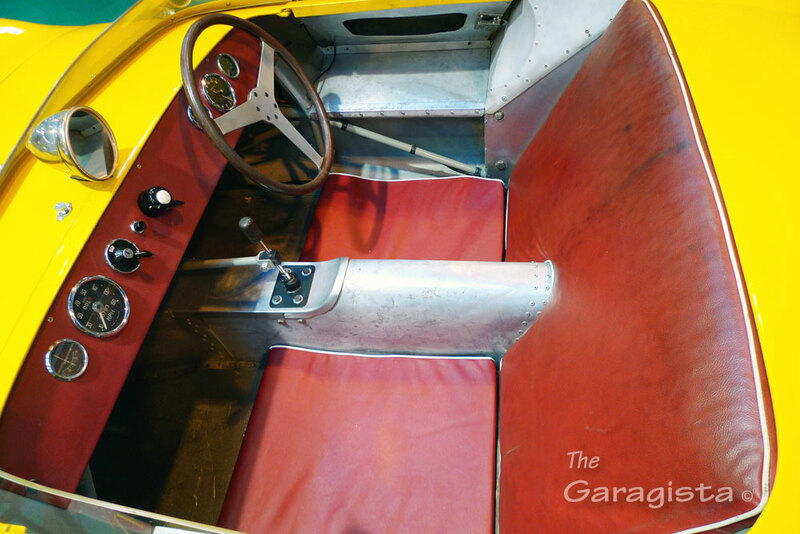 This particular car in the photos was built in April of 1957 and was purchased by Colin Chapman at auction in 1970 and the subsequently stored for many years in poor condition. Spartan Lotus interior that looks to be original. Simple and clean Lucas taillights. Compound curves offer a unique shape. Classic original mirror and indicator lamps. During 2010 and 2011, Classic Team Lotus’s Bob Dance restored the car retaining the original bodywork and 95% of the chassis. Painstaking efforts were made to keep all of the original parts including the wiring. This is the only Lotus road car Colin Chapman ever purchased. Gallery | This entry was posted in Lotus and tagged Autosport, Classic Team Lotus, Colin Chapman, Coventry Climax FWA FWB, Lotus, Lotus 11. Bookmark the permalink. Not to Hi-Jack this post, but did you buy the Lotus Cortina in Lancaster? I read you may be selling the car in the near future. Will you let me know if you do?